There are some great jewellery ideas out there that may have evaded you in the past, but there is no time like the present to incorporate the following great jewellery ideas into your personal sense of style. One of the easiest ways to transform a look is with stud earrings. With so many variations and emblems that can be attached to them, there is the choice to go with a demure option or opt for a bolder statement stud. The direct antithesis of the stud earring, sweeping earrings are anything but subtle and demand to be noticed from oversized hoops, waterfall danglers, shoulder-dusting drops, and more. These earrings are destined for red carpet events where they can truly realize their potential. With everyone looking to place their own unique spin on wedding ceremonies these days, alternative bridal designs are veering from traditional engagement rings to more original cocktail rings or wide bands that custom designed for the special occasion. 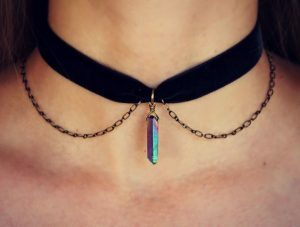 The 90s are back with the choker, a simple option that has graduated from its grunge beginnings to a more upscale look in the new millennium. One of the more popular ways to capture pop culture references is through lapel pins that make for effective accessories that speak volumes without saying a word. Not only can they be adorned on clothes, but they also work well on other accessories such as bags, skirts, and even shoes. Article submitted by Christian.Jewelry. Offering Christian jewelry in Silver and Gold, such as cross pendants, necklace, rings, earrings, bracelets and chains. How does wicking fabric work?